Chandra Shekhar Azad born as Chandra Shekhar Tiwari on 23rd July 1906 in Bhavra village, present day’s Alirajpur district of Madhya Pradesh. His mother, Jagriti Devi was the third wife of his father Pandit Sitaram Tiwari whose previous wives had died quite young. Also, Sukhdev was their eldest son while Chandra Shekhar Azad, their youngest. He was a revolutionary who fought parallel with the British Government to throw the alien government out. He risked his life for the betterment of the country and died young, at the age of 24. He is popularly also known as ‘Shaheed’ and ‘Azad’. Chandra Shekhar Azad was stubborn right from his childhood. Fearlessness and virtues of justice were a part of his personality. He and Sukhdev were sent to a modest school for receiving education. Their teacher used to beat them up with a cane if they misspell or mispronounced a word. On one fine day, while Azad’s teacher was reading an excerpt, he happened to mispronounce it and immediately, Azad took the cane in his hand and beat his master twice. Azad was frail and weak as an infant but soon developed his physique owing to the Javelin throw, archery and athletics that he learnt from the local Bhils. Mastery of these skills had given him the power to shot erroneously with his pistol later, an art that Britishers feared the most. He also developed a well-toned body all owing to wrestling and swimming. His inspiration came from the very physique of Lord Hanuman who he was an ardent devotee of, throughout his life. He was quite a rebel in nature and an aimless life was haunting him since the age of 12. He continuously used to persuade his parents to let him go to Varanasi and study Sanskrit at Varanasi’s Mahavidyalaya but of no avail. Finally, at the age of 14, he fled to Bombay and under a seth took up the job of painting ships at the ports. He became aware of Gandhiji’s Non-Cooperation movements, the hustle and bustle of protests and writings in the newspapers and journals. Nevertheless, his quest took him to Varanasi to study Sanskrit. He used to write letters at home and keep them updated with the happenings of his life. Soon, his elder brother too joined him at Varanasi. In Varanasi, he used to dive into Ganga and swim for hours and sat on the banks to listen to the pandits reciting stories from Mahabharata and Ramayana. The stories of truth prevailing despite all odds and injustice being made right used to inspire the young Azad. In 1921, when Mahatma Gandhi called on a Non-Cooperation Movement and people from all walks of life, rural, urban, semi-urban geared themselves up to fight for the noble cause of attaining freedom. Chandra Shekhar too participated in the jibe with the people of Varanasi plunging into the fight. It started from the students of Mahavidyalaya who sat on a dharna reciting slogans of Vande Matram and Bharat Mata ki Jai at the top of their voice. All the students were arrested, tried in court and sentenced to imprisonment except Chandra Shekhar. He was the youngest of them all so the court made sure of not sending the young Azad behind the bars. But his trial made him earn the prestigious name ‘Azad’. 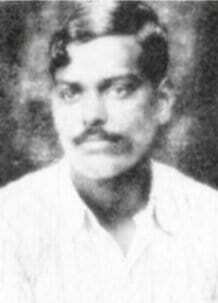 When the Judge during the trail commanded him to speak his name, Chandra Shekhar said, ‘Azad’ fearlessly. The whole courtroom burst into howling over his daring answer. The judge went on with rather disguise asking, ‘What’s the name of your father?’ to which Chandra Shekhar replied, ‘Swatantrata’. The judge rather turned a cold nerve and reverted asking, ‘What’s your residence?’ to which he replied, ‘Jail’. Sudden burts of laughter and slogans of Bharat Mata ki Jai, Azad Zindabad made shrill noises in the ears of everyone present. Given his age, the judge would have freed him but fearing his courageousness instead, subjected him to policy custody and 15 lashes with a cane was awarded to him as a punishment. He was beaten severely. With every lash on his back, his body turned blue and blood oozed out. He took a pledge from them on that police will never be able to touch his body ever again. In his own words, ‘Dushmano ki Goliyon ka saamna hum karenge, Azad hain aur Azad hi rahenge’. After serving his due punishment he was received with much pomp and honour by the citizens. He was garlanded by many and every local and national newspaper carried his picture, the next day accolading him with the title of ‘Azad’. This political initiation led to him a decline towards studies and an inclination to earn freedom for his motherland. He devoted himself to learning the art of shooting. Given, his background of being a master in archery, he learnt how to fire a pistol and other arms in no time. Soon after the acclamation and accolades he received for his fearless verdict in the court, Chandra Shekhar sort to devote himself into the national upsurge. He came in contact with several benedict leaders who used to call themselves as ‘Krantikaaris’ such as Ram Prasad Bismil, Ashfaqulla Khan, Roshan Singh, Rajendra Nath Lahiri. These prominent leaders had a deep impact on the ideology and personality of Chandra Shekhar Azad. In 1921, the unfortunate Jallianwala Bagh massacre outbreak happened. Peaceful, unarmed and un-warned civilians had gathered there to mark their protest in support of Gandhi’s call for Non- Cooperation. General Dyer, ordered fire upon them killing as many as 1,200 men, women and children while leaving 3,600 injured due to the lathi charge that was done as well. This ousted, agitated the young blood running in the arms of the revolutionaries. They organised themselves with the revolutionaries of Bengal and formed a party under the leadership of Ram Prasad Bismil, a luminary patriot and an astounding leader. The party was named as, ‘Hindustan Republican Association’. Azad proved to a restless worker of the Party. He issued secretly and silently, many leaflets and bulletins to drive away the misconceptions entertained by the people regarding the revolutionaries. He proved to a master propagandist, devoting himself fully to the cause of the party. In physical, strength none was parallel to him and he was adored with the title of ‘Bhim Dada’. Other eminent leaders of the Party, Shri Yogesh Chatterjee, Shri Sachin Sanyal, Shri Rabindranath Kar along with Azad, learnt the art of modern warfare in order to take revenge from the brutal foreign rule. There was a grave lack of money. Finances! To ask for it openly was not going to laud them with any, they knew. But to get it secretly was even more difficult. Gandhi had urged the people nationwide to carry out a non-violent protest and to avoid any scuffle due to the barbarous acts toiling to curb the protests at the hands of British. However, in Chauri-Chaura village of Gorakhpur district when lots of enraged peaceful protesters were beaten up by a handful of British soldiers, the people protested vehemently thereby killing at least 10 of those brutal soldiers. This didn’t go well with the malevolent Gandhi and he decided to call off the movement. This shook nearly every Indian as to the need of calling the movement when it was clearly the Britishers who urged the quiet crowd into an agitated mob. Nevertheless, no justice was done in this case either as 228 were arrested, out of which 132 were sentenced to be hanged. Didn’t hanging of 132 Indians agitate Gandhi? Didn’t this injustice compelled him to sit on a fast or satyagraha or whatever. But this surely, boiled the very young blood of every member of Hindustan’s Revolutionary Party. There was staunch disgrace for non-violence and Gandhi among them all. They with fervour, took to their shoulders to teach the vociferous government a lesson. The leaders toured throughout India extensively, in order to collect money required for their complacent activities but soon it dawned on them that mere donations aren’t going to be sufficient as there was widespread turmoil and poverty, so people in general could hardly contribute that effectively. A secret meeting was held and under the leadership of Ram Prasad Bismil, it was decided to loot the Government treasure. A reiki of several platform stations began and it was observed that there were some lapses of security in the train carrying money bags at stations between Shahjahanpur to Lucknow. As many as 10 revolutionaries decided to carve out the well-knit plan of dacoity. On the fateful day, August 9th 1925, the revolutionaries successfully looted the Down Train no. 8 running from Shahjahpur to Lucknow at Kakori. At their pre-determined location, they held all the British soldiers of the convey at gun point and looted the money bags that were kept in an iron safe. Only ten men conceived what they had in their minds owing to their discipline, courageousness and above all, love for their country. The British Government following the adversary, rendered all ten of them, namely, Ram Prasad Bismil, Ashfaqulla Khan, Rajendra Lahiri, Thakur Roshan Singh, Sachindra Bakshi, Chadra Shekhar Azad, Keshab Chakravarty, Banwari lal, Mukundi Lal and Mammathnath Gupta guilty and liable of treason ordered search and arrests of all in the country. Many were arrested as a result. Ram Prasad Bismil and Ashfaqulla Khan were hanged while others were sentenced to life imprisonment. Chandra Shekhar carried out several attempts to freed them all but there were layers of security personnel deployed by the British to ensure not to lead the revolutionaries escape. The party was torn and tattered. Chandra Shekhar knew the ways of camouflaging the government and was never arrested. He fled to Jhansi disguised as a Sadhu and from there reached Indore via Khandwa. At Khandwa, he lived for some time veiling himself as a priest. He made his way to his hometown Alirajpur but didn’t stay there for long. He took a circuitous to the jungles of Vindhya situated in its valleys on foot. It was the days of great hardship for him. Sun scorched during the day and cold chilled him at night. He barely could manage to get one-time meal. He knew he had to let time fly by and manoeuvred himself to reorganise his party and get young blood who can carry on the revolutionary fight for the next phase of freedom struggle to shake the very foundations of British Raj in India. When he reached the headquarters at Kanpur, he re-organised his party as Hindustan Social-Republican Army. He met with some fresh new faces like Bhagat Singh, Rajguru and Batukeshwar Dutta. Together they sent chills down the spine of Britishers. India extended support to England during the First World War by recruiting soldiers from the country. A deal was made to set up a commission after the war comprising of members, half of them Britishers while the other half, Indians. The promise as was supposed, was never kept. Under pressure, a Commission was finally set up in 1928 but all of the seven appointed members were British. When the members arrived at Lahore, under the leadership of Lala Lajpat Rai, the ‘Lion of Punjab’, a peaceful protest was organised. People were carrying black flags as a mark of betrayal, shouting slogans and carried banners citing, ‘Simon Go back’. Lahore’s police in-charges Scott and Saunders ordered brutal lathi charge on the leaders and masses and Lalaji received massive injuries following which he died six months later at the hospital. The story reached the ears of every Indian and the members of Hindustan Socialist-Revolutionary Army pledged to take revenge against the plight of their fellow countrymen. A convocation of all the revolutionary leaders from different provinces of India was held in Delhi in September 1928, near the old fort. Leaders took a serious review of the political situation in the country and decided on a course of action. They unanimously decided to wage a violent attack on Scott to not let the Britishers feel, that Indians are weak. Suitable measures were taken to avenge Lalaji’s death and Chandra Shekhar along with few of his trusted members reached Lahore. Rajguru was handed over the job of reiki of Scott but he, misunderstood Scott to be Saunders. On the eventful day, as per their planned operation, Bhagat Singh, Jaigopal and Rajguru fired a volley of bullets on Saunders. Scott successfully fled the scene. Chandra Shekhar Azad sat on the one of the walls of DAV College. The killing happened near the police station and so the British policemen came marching to arrest Bhagat Singh, Rajguru and Jaigopal. Chandra Shekhar fired bullets from a distance, each bullet succeeded in killing two of them. He thus, saved his ally Bhagat Singh from getting arrested. Once again, Azad was never captured. Despite, the efforts of vigilant police carrying on lookouts for Azad was in vain. Police became bewildered and tired. Soon, it began targeting the members of Revolutionary army, luring the weak to tract information about Azad. On the unfortunate day, February 27th 1931, while Azad was hiding at Alfred Park of Prayag in Allahbad, Uttar Pradesh, waiting for one of his colleague for a secret meeting, the police marched in. It covered the whole park and started to fire. One of his comrades had turned into a traitor and a police spy. Azad became Azad forever. Only at the age of 24, this luminary and illustrious son of Bharat Maa, laid his life to live forever in the hearts of his countrymen. 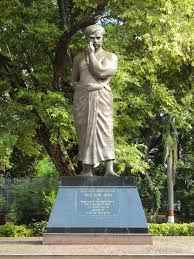 His statue depicting his vivid physique and adorning his moustache, was installed at Azad Park as a mark of his contributions towards the freedom of the country. His hometown payed him homage by setting up a Chandra Shekhar Azad’s temple at Alirajpur of Madhya Pradesh.